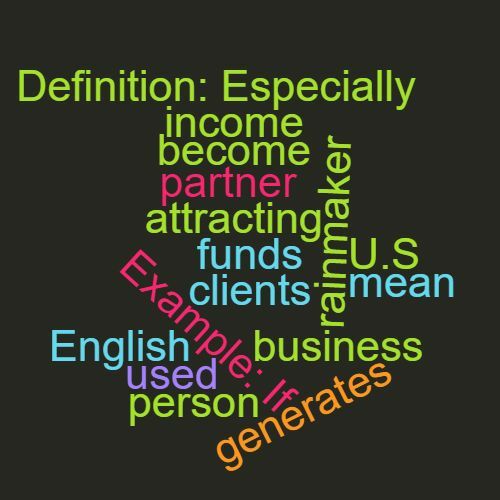 Definition: Especially used in U.S. English to mean a person who generates income for a business such as by attracting clients or funds. Example: If you’re not a rainmaker you won’t become a partner. This word features in Episode 54 of the Study Legal English Podcast.